Lil Miquela is a star by today’s standards: She has roughly 1.5m followers on IG and, thanks to new financing, the company that owns her is about to be worth at least $125m. Brud, the company that created Lil Miquela, is currently closing a round between $20m and $30m to continue developing her and some of its other flagship stars (Miquela may have even hinted about the news herself). To clear up any confusion, Lil Miquela is what they call in the biz, an “avastar” — meaning she’s not real, but her fans certainly are, and investors are smellin’ the potential. Per TechCrunch, characters like the Damon Albarn assembled supergroup, the Gorillaz, and the vocal-synthesizer-turned-cyber-celeb Hatsune Miku were some of the original avastars of our time. Now the attention from venture firms is showing creators just how important virtual characters could actually become. The potential of avastardom goes far beyond its characters: Betaworks, a NY-based investment firm that invested in SuperPlastic, a designer toy company turned digital agency for synthetic celebrities, is interested in exploring the role that AI and new technology platforms could play in rethinking entertainment and social media as a whole. 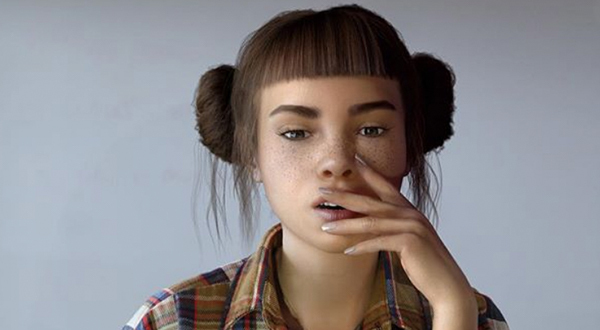 Companies are learning that human influencers have an expiration date to their potential, where virtual IP can be extended — world’s will be built, interactive games will be created, and trends influenced by characters like Lil Miquela will become a way of life. Does that mean Logan Paul’s gonna disappear? That’s a big ol’ TBD, Ghost Rider, but with Brud’s new funding round (on top of the $6m it landed from Sequoia Capital last year), and other companies like SuperPlastic and Toonstar catching the eye of investors, the movement’s picking up steam. And Investors believe a new kind of studio system is upon us — one more controllable and curated than the personalities and controversies that created a generation of social media influencers.